We have had more rain than snow and the lows are in the 30s and 20s rather than the singal digits and negatives that are "normal" for this time of year. Michigan: If you don't like the weather wait 5 minutes it will change. I have no idea the origin of this quote, but I have heard it non-stop since I could understand it. Michigan weather is always quite unpredictable, the spring was warm this year, the summer cooler than normal, and Fall and Winter have been mild. I don't love the cold anyways, but if it is going to be cold enough for me to require a coat, it might as well be snow as well. 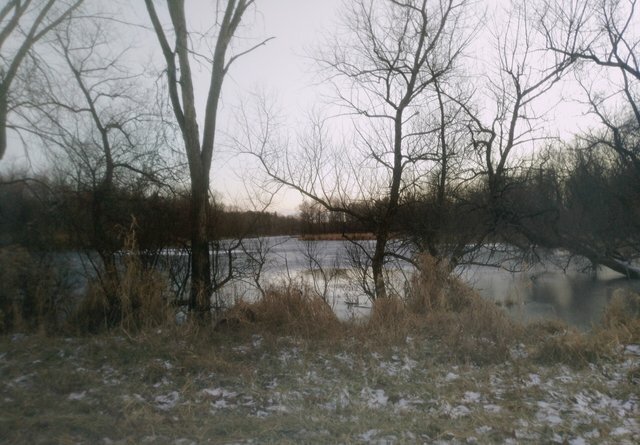 I discovered this swamp last summer and pulled the car over to snap some pictures a couple days ago. 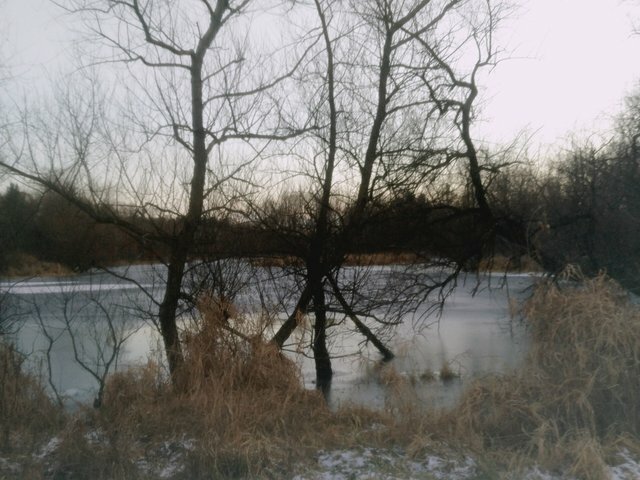 The way the trees seem to protect the swamp all dark and twisty is beautiful and mesmerizing to me. 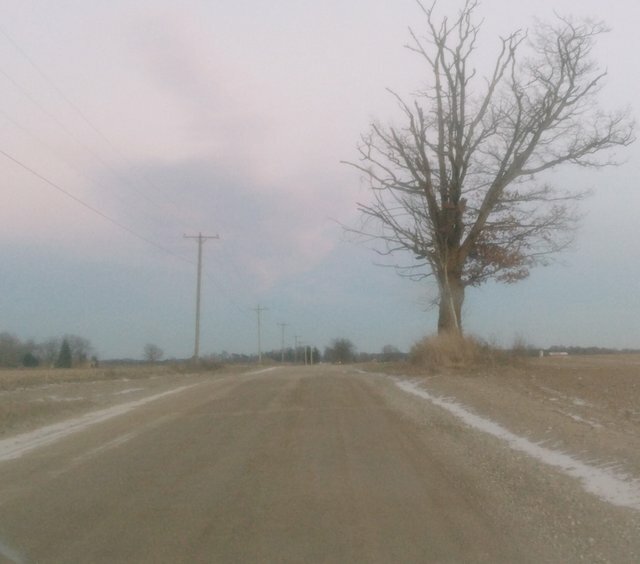 As I pulled away from the swamp, I noticed this tree standing alone in the distance, the only try that was lining the forever farm fields that expand on either side of the road, so without leaving my car I snapped a picture of this tree also. Hence the Car Photography. It has still been getting dark just before 6PM here and this was about 5:15 or so, the sun was threatening to go to sleep for the night which I think adds to the gloominess of the photos.